We love food in this house. My J also loves to make food. So we are going to start sharing some of the recipes we try out together. 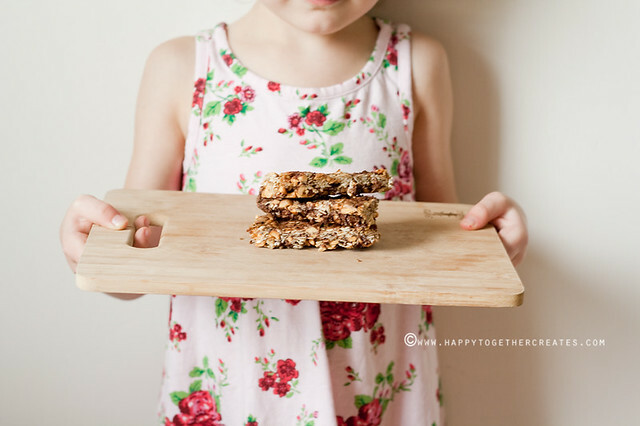 Today’s recipe is from here and it’s for healthy granola bars. I have a goal this year to send her off with very healthy lunches, so we have started making foods that will be good for her to carry in a lunch box. 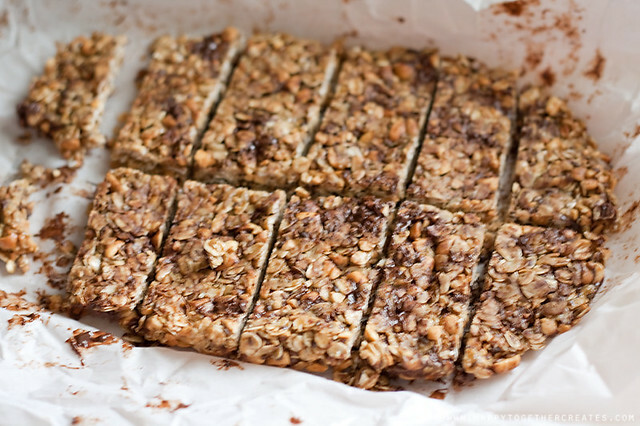 Granola bars are one of the first things we made. She got to help in many ways. 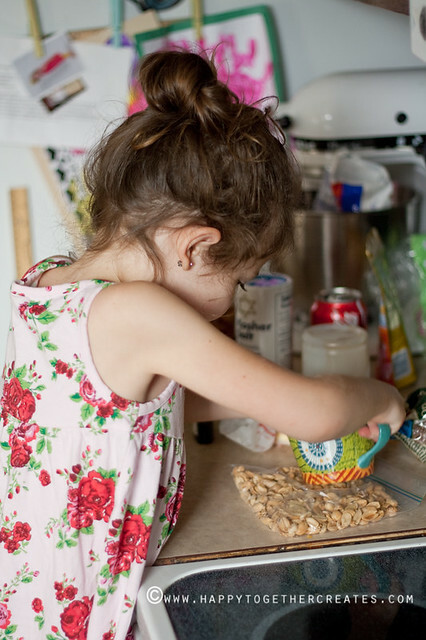 She helped smash up the peanuts as well as pour and mix all of the ingredients. We made ours super simple and just added some chocolate chips in addition to the base ingredients. Miss J and I aren’t big into dried fruit and all. It was a really easy recipe and would recommend it. 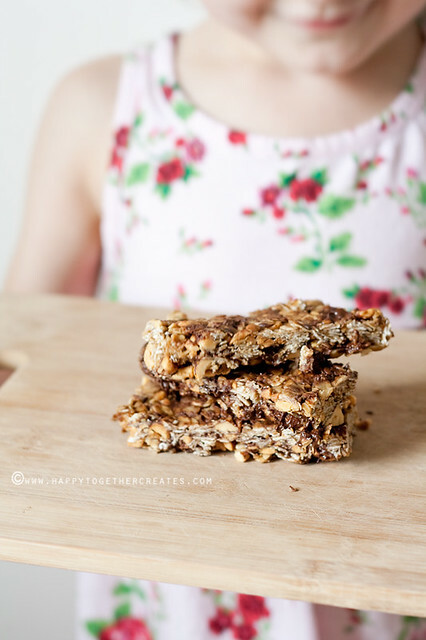 My husband and I really liked it, but she wasn’t too keen on all the peanuts so I plan on trying this recipe again with some adjustments to that. Please share any recipes you use to make for school lunch 🙂 I would love to check them out. 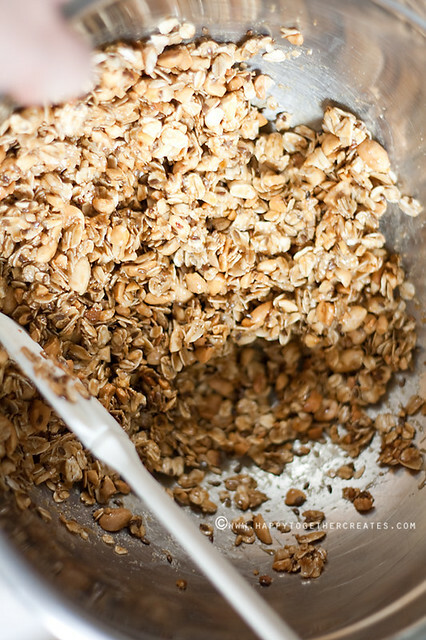 http://pinterest.com/pin/71353975317246944/ this, but I don’t have wheat germ onhand so i subbed for puffed wheat cereal, plus added a scoop of protein powder. It was less sweet than other energy bites I’ve tried and my daughter liked it way more than the sweeter ones. We’re a nut-free school so i’m going to try making some sunbutter (sunflower seed butter) and making it with that! Sounds yummy! But I would leave out any nuts if she is going to bring them to school. Most of the schools I know of in Louisiana are nut-free. At least in Lafayette they are.